(Admin Only) Adding/editing options from drop down lists - ex. Company, Location, Department, Job role. You can edit and add to many lists within the system such as the Company/Location/Department/Job role list. If there is no X next to the option, this means that it the option is currently in use somewhere else in the system and therefore you will be unable to delete it. 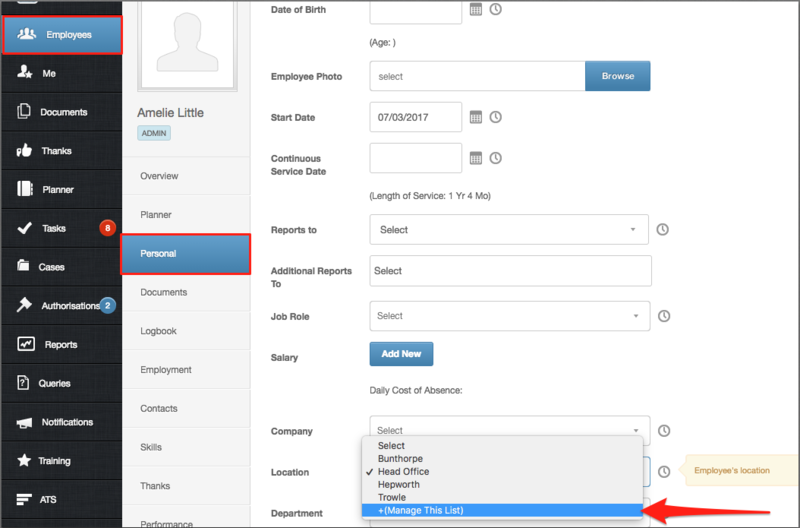 For example, you may be unable to delete a Location because an employee is currently assigned to that option. If so, you can change their location to make this not 'in use' anymore. You can then delete it. Poll Group - In relation to Pulse Surveys on the mobile app, this Loc/Dep has been specified to answer a survey. If you're stuck on this, feel free to email customerservices@peoplehr.com for our team to explain further.